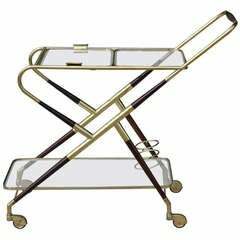 Stunning faux bamboo bar cart made out of brass then silver plated, made in Italy in the 1950s. Great lines, incredible details and construction techniques. 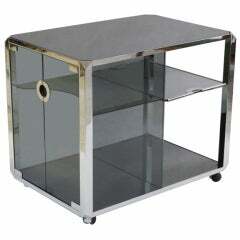 Sleek grey glass bar cart with heavy chrome appointments. 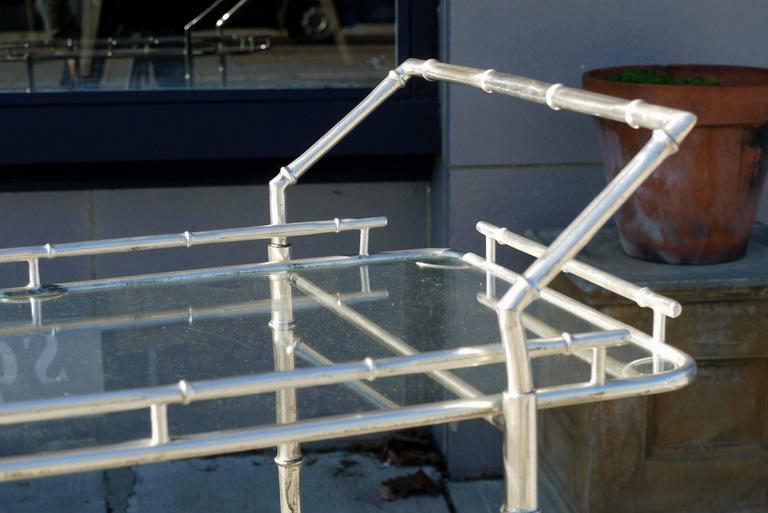 The attention to details on this bar cart are second to none. Design is often attributed to Mario Sabot, Italy. Stunning pair of Baguès faux bamboo occasional tables which can be pushed close together to be used as a small coffee table. Great size and scale. Stunning French 1950s faux bamboo valet with gorgeous lines and proportions. Designed to fold up for storage however I doubt you'd ever want to do that after seeing it. 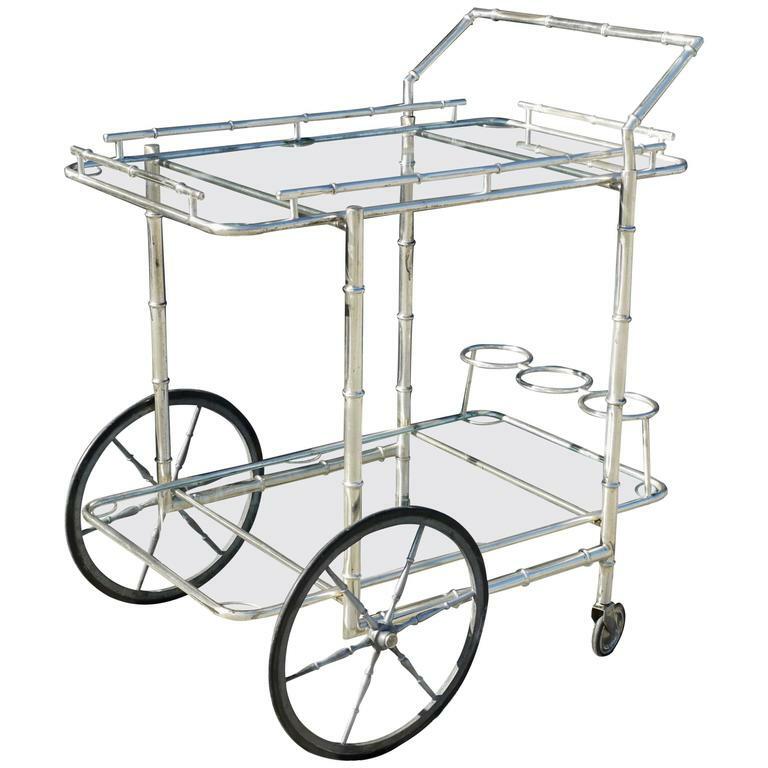 Vintage Italian two-tier bar trolley in a silvered finish. 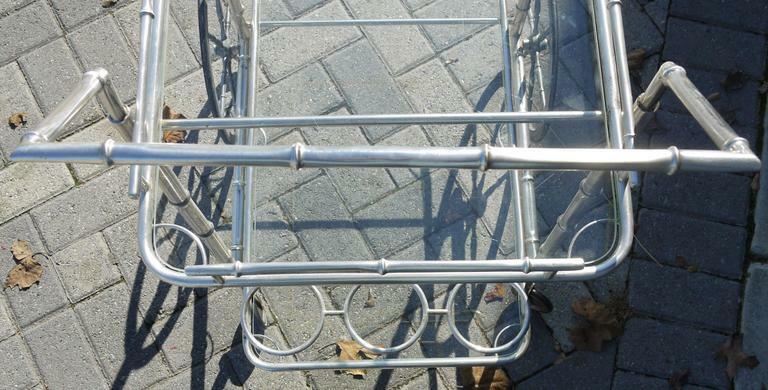 A vintage faux bamboo bras bar cart on wheels, with two glass shelves. 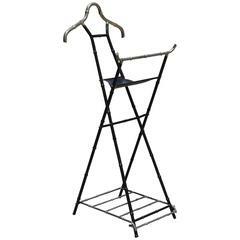 Perfect for the corner of a room or a small apartment. 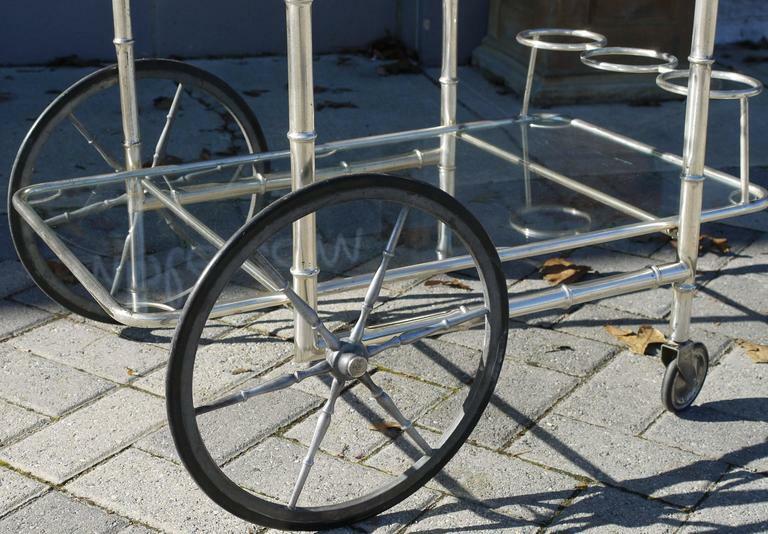 1950s Italian brass faux bamboo two-tier bar or serving cart with newer dark charcoal mirrored inserts. 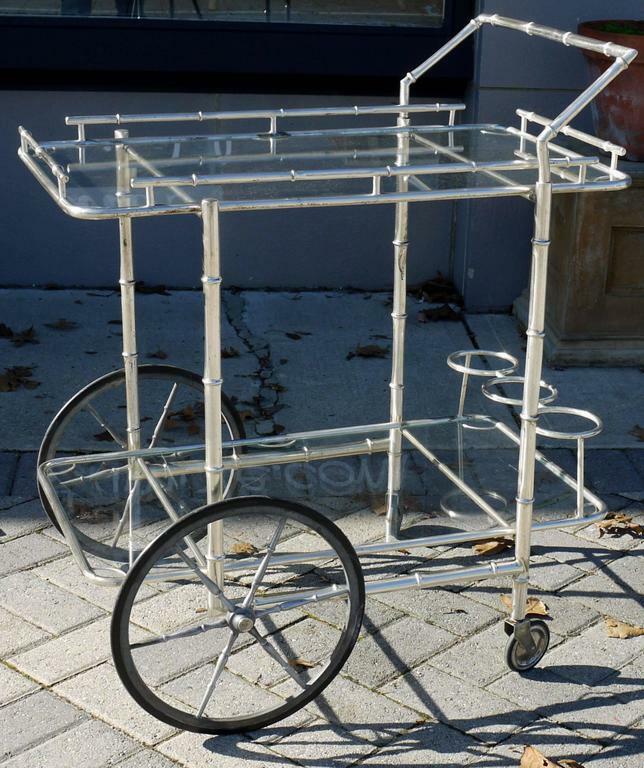 A glamorous polish brass and beveled glass 1970s French Bar Cart. This is a well constructed and elegant design. The glass has been newly replaced. Dim: 18” deep 36” wide 35.5” high. Stunning Baroque style brass bar cart with a glass top and bottom shelf. 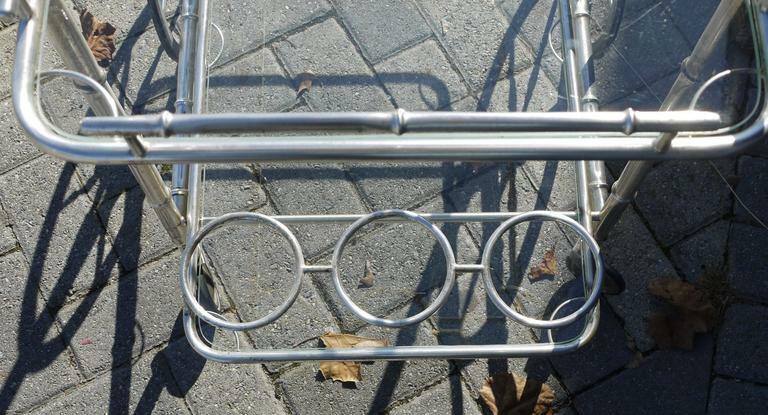 Cart has beautiful detail. 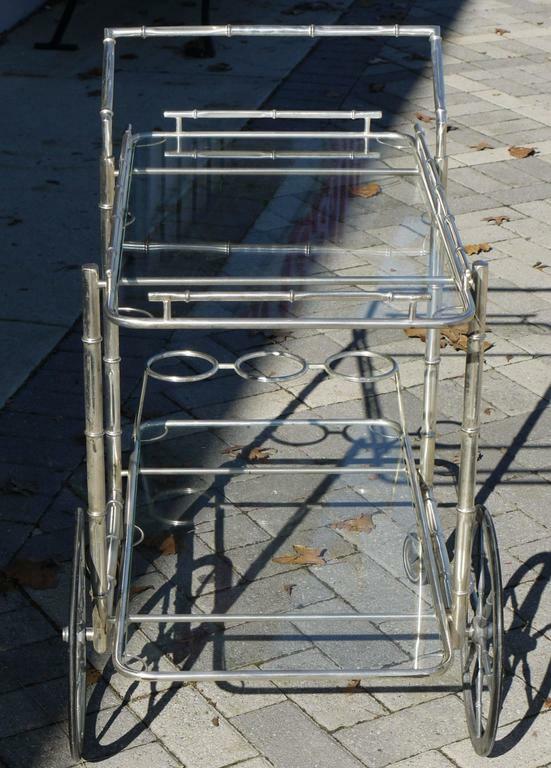 Trolley.